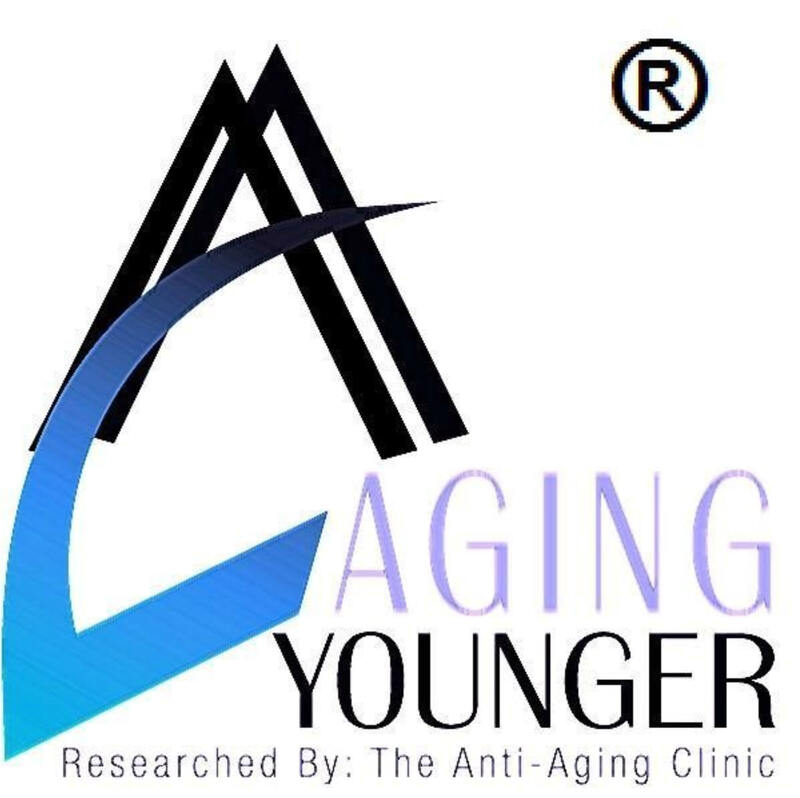 Excerpts of Blog Talk Radio Program "Aging Younger"
David and Stephanie Tippie, founders of the Anti-Aging Clinic are all about natural alternatives! Both are Nature-O-Paths (followers of the Laws of Nature) as well as medical researchers, active in the research field for 25 years. They are the creators of the ‘8 Steps to Aging Younger’ program; empowering their clients to make better choices for health, hormone balancing, beauty and longevity. Their extensive research has lead to numerous natural alternatives to mainstream medical protocols and these alternatives work by ultimately bringing the body back into balance. The Tippies have also combined forces to create and formulate many state of the art health and beauty products and protocols. It is their belief that without prevention- we are all destined to age earlier. David and Stephanie counsel both Domestic and International clients, assisting people worldwide in preventing illness and disease- and educating on how best to Age Younger. Tim Kellis, renowned Wall Street analyst and founder of HappyRelationships.com, is the author of “Equality: The Quest for the Happy Marriage”. Through personal tragedy and a successful professional career Tim has finally solved the marriage problem by addressing relationships and marriage mentally for the first time in history. Tim’s approach refutes 100 years of the psychology industry’s belief that men and women are driven by their biological desires, by incorporating conventional beliefs of the spiritual community such as transformation, healing and letting go of the past traumatic experiences that hinder individuals and couples from achieving their true potential. Tim’s TV appearances include appearances on NBC, CBS, ABC, PBS and Lifetime. Radio appearances include A Balanced Life with Beth Aldrich, A Fresh Start with Sallie Felton, Marriage 101 with Starr and Bob Calo-oy, Journey of Life Radio with Joseph LoBrutto III, Life Insight From Experts (L.I.F.E.) with Shelley Costello and Internet Radio Interview on SoundAuthors.com. Tim is excited to teach couples that their wedding day isn’t the beginning of the end but rather the beginning of the rest of their lives together. The Aging Younger Show where the alternatives matter. Join Jill Dahne who is the #1 Love Psychic in the World", as quoted in the book 100 Top Psychics. Dateline NBC says "Jill is so on target with her predictions, we were amazed." Sought after Psychic to the Stars, her lifetime of work has catapulted her to World Renowned Fame. Her life was chronicled on Lifetime Television as the #1 Love Psychic for all of the marriages and relationships she has predicted throughout her life, over 1,000 to date. Jill is embedded in Ripley's Believe it or Not as the Most Amazing Teenage Psychic (1977) and has been on Radio and Television since she was 6 years old. Jill's accurate predictions have been spotlighted around the Globe on Major TV networks such as MSNBC which were "astonished over the prediction of exact date & time of the capture of Sadam Hussein and the bombing in Madrid. CBS covered Jill's "on target" Presidential elections and has been on Court TV for unsolved murder cases and missing children as well as FOX's yearly Celebrity Love Predictions and ABC with her Super Bowl predictions. Jill will be using her gifts to predict the 2009 global health challenges. She is also a Medical Intuitive so this is your opportunity to call America’s Best with a specific question about your health issues and medical mysteries. Gabrielle Bourne is the Founder and Executive Producer of Gabrielle Bourne Productions (GBP), a passion project founded in 2008 to bring health, wellness and wealth exploration to the masses. GBP is the wellness and HR division of Bourne Legacy Enterprises, a Global Enterprise established in 1996 with projects in over (9) countries. Gabrielle Bourne Productions works with Human Resources Departments, Community-based organizations and municipalities to bring quality health screenings, education and information to their citizenship. Join us this week as we explore the with Gabrielle how she and the Anti-Aging Clinic will join forces to successfully bring awareness to the many modalities of Aging Younger. The Aging Younger Show where the alternatives matter Why do bacteria, microbes and virus enter your body and cause you such pain, suffering, disease and even death? Because you make them feel comfortable and at home in your body by producing the best environment possible for them to survive and thrive. Of course this means you are making poor choices for your health and in doing so you are producing the environment of choice for these dangerous and un-wanted pathogens. It is truly amazing how simple a simple lifestyle change can rid your body of these pathogens; but what people find difficult is the consistency of the change. There is no fairytale magic pill from the drug companies or a one size fit all quick solution but there are things that you can do for yourself that will prove to be much more satisfying than the poor habits you have developed at this time. Your body is an amazing thing and it will absolutely heal itself as long as you provide the tools it needs to do so. Good health and longevity is all about the choices you make. To date, most people guide themselves on pleasure and fear; they leave out the intelligence that should be used first. If it looks good and tastes good we eat it or do it and only think of change when we are introduced to fear. Fear in the form of a symptom of illness or disease is then when we run to the doctor and get him or her to mask the symptom with drugs and make us think we are all better, when in fact the underlying problem still exists. Disease or illness did not start the day before we notice the symptom, it started years earlier because of our poor choices. Listen to our program on Wednesday 9th at 6:PM and learn what choices we are speaking of. Can Nutraceuticals and lifestyle alter Disease such as Multiple Sclerosis? So that we conform to the FDA & FTC requirements placed on non-pharmaceutical Nutraceutical products, we make no claim of treatment or cure. The body is a chemical and an electrical phenomenon. In the wellness industry, we believe that when you put the proper things in the body, which your body requires to be healthy, then your body will become healthy and stay healthy. The human body is the most complex and fascinating machinery on the planet. Your body will heal itself if given the correct nourishment, water and air it requires. Disease is the result of poor choices made earlier in life and your relentless re-creation of those choices. Most people only educate themselves on good health practices when they experience what is come to be known as a symptom. We offer a better solution, please join us on Wednesday Sept 2, 2009 at 6:PM EST on our Aging Younger Radio Show and you decide. Very few people realize that the worst epidemic ever to hit America, which was the Spanish Influenza of 1918 was actually the after effect of the massive nation-wide vaccine campaign. The doctors told the people that the disease was caused by germs. Viruses were not known at that time or they would have been blamed. Germs, bacteria and viruses, along with bacilli and a few other invisible organisms are the scapegoats which the doctors like to blame for the things they do not understand. If the doctor makes a wrong diagnosis and treatment, and kills the patient, he can always blame it on the germs, and say the patient didn’t get an early diagnosis and come to him or her in time. Forced vaccination is like forcing the population to ingest strychnine poison in our view. If we check back in history to that 1918 flu period, we will see that it suddenly struck just after the end of World War I when our soldiers were returning home from overseas. That was the first time all the known vaccines were forced on all the servicemen. This mish-mash of poison drugs, heavy metals poisons and putrid protein of which the vaccines were composed, caused such widespread disease and death among the soldiers that it was the common talk of the day. The government is trying to do it to us again, forced swine flu vaccination. A vaccine untested and full of these same poisons of an earlier day. Tune in to blog talk radio 6:PM EST Wednesday Aug. 26 and listen to our review of the here and now and what we can do to defend ourselves. The Aging Younger Show where the alternatives matter. On Wednesday April 29th, the World Health Organization raised its pandemic alert level to five on its six-level threat scale, which means they've determined that the virus is capable of human-to-human transmission. The initial outbreaks across North America reveal an infection already traveling at higher velocity than did the last official pandemic strain, the 1968 Hong Kong flu. We would like you to be informed of a product called Rejuvenis OSH Silver. It is anti-viral, anti-microbial and anti-bacterial; whatever the virus is that you may contract you will be glad you put Rejuvenis OSH Silver in your body. Tune in and listen to what one of our clients has to say about her recovery from the virus without taking the prescription drugs that were prescribed to her. If you believe that Menopause is a NATURAL occurrence in a woman’s life- and NOT a disease process-- this Aging Younger segment is for Y-O-U! Carrie Pierce is a licensed Aesthetician, is certified in Color Analysis and has built a solid, international reputation in the field of holistic, menopausal skin care; specializing in harmful cosmetic ingredients and industry practices. She’s a recognized speaker and published writer- having written numerous articles in women’s health and beauty publications and she is Founder and President of Menopauserus.com- The ultimate natural help and support site for women in need of peri menopause and menopause relief. It’s her mission to help make menopause ‘The Change for the Better’- for women everywhere! Why is chelation therapy so important for removing illness or disease in your body and what is the difference between the intravenous and the suppository application? Learn about the importance of chelation and how your body is a ticking time bomb if these issues are not addressed sooner, rather than later. There is no need to become hunched over in pain nor is there a need to take medications for high blood pressure and cholesterol. There is no need to wait for that massive heart attack which is almost inevitable if you don’t take action now. Give your body longevity assurance, listen to our program Wednesday July 22, 2009 at 6:PM EST, on blog talk radio. PMS? Sinus problem? Arthritis? Chronic Fatigue? Fibromyalgia ? Lupus? Psoriasis? Painful and enlarged breasts? What do all these disorders have in common? They are all chronic conditions fully or partially due to a backup of the body's lymph system. The word chronic is from the Greek "chronos" meaning "time." So chronic means a development over time. Listen to David and Stephanie this Wednesday to learn more about these chronic conditions and how to overcome them. The Aging Younger Show where the alternatives matter. Health and Wealth, what are they worth? People sacrifice their health to get wealth and then spend their wealth trying to get back their health. Tune into our radio show and listen to a different mindset; a mindset where we create a wellness lifestyle that celebrates prevention and not treatment of symptom to the detriment of a disease cure. If you think Wellness is expensive...consider the cost of sickness (emotional, physical and financial - We've created a "perfect storm" for disaster in America). We are going to discuss outside of the box thinking that will provide you with choices that you may not have known existed. Take charge of your health, no doctor cares as much as you do about your health and well being. Maybe you've already tried some other strategies to deal with less-than-optimal digestion. You eat plenty of fiber, drink enough water, and consume lots of fresh vegetables. Yet something still isn't working as well as it should. If your body does not break down and absorb nutrients optimally, the effects can go far beyond the occasional abdominal discomfort you're feeling, such as gas and indigestion or GERD for Gastro Esophageal Reflux Disease; just a note: this is really not a disease as the pharmaceutical companies would have you believe, it is simply the symptom from poor combinations of food. Join David and Stephanie Tippie this Wednesday as they discuss, Your health is not What You Eat… But your health is What You Digest and Absorb. Using the “man on the street” definitions of “cancer” and “cure,” the true cure rate of orthodox cancer treatments, overall, is less than 1%. While this percentage does vary a little according to the type of cancer, for most types of cancer the “man on the street” cure rate is zero percent. How many people do you know who used only orthodox medicine and were diagnosed with cancer over 10 years ago (and the cancer metastasized beyond the ability of doctors to cut it out) and are still alive today? Join our blog talk discussion this coming Wednesday as we discuss Cancer Cure Rate for orthodox medicine vs. the natural alternatives. When it comes to Omega-3 essential fatty acids, the entire fat universe agrees; everybody needs more. Evidence is growing that you may also need to cut our soybean, safflower and genetically modified corn oils, as well as the widely used polyunsaturated vegetable oils because they flood your body with competing essential fatty acids known as the omega 6's. Join David and Stephanie as they discuss the proper proportional intake of the Omega 3's and Omega 6's to achieve the balance our body requires. LEARN TO UNDERSTAND YOUR PMS AS A MESSENGER OF TRUTH… AND MUCH MORE! What is a Woman’s Story behind her PMS? Why Is Every Woman’s PMS Different? Did you know that between 50 percent and 80 percent of women suffer from PSM every month or at least some of the time? Pauline Houle has researched PMS and its link to the subconscious for 11 years and will reveal astounding findings. Fifteen years ago, Pauline woke up with a PMS that medicine did not know how to handle; she was already prone to visit holistic approaches and even that left her dissatisfied. She decided to implement what she already knew best to do with her clients, in a nutshell, start asking empowering questions about this new symptom in her life. It took some months for her to understand the engineering about her own mind - body connection. But one day, as she woke up, that still voice within gave an answer. The moment she made the connection between her symptoms and her intimate life, the next day all her symptoms were gone, never to come back. She then embarked on a mission to help women find out what they could do to heal that beast that is so disempowering for too many of them. The rest is history and her research and findings came out in her first book in French in 2000 and in English in 2005 accompanied by a Workbook in 2006. Her discovery and her approach have helped thousands of women finally put an end to their debilitating PMS and all its inclusive suffering. Once women understood what unresolved intimate story their PMS was trying to convey, they healed either overnight or gradually over a period of months. Big Pharma’s synthetic drugs, verses Mother Nature’s natural substances: We are challenging conventional Western medical pharmacology, by offering a groundbreaking perspective that is long overdue. Can you show us anyone who can say, thank God for these pharmaceutical drugs that gave me such a long, healthy life? That statement is an oxymoron; because the more drugs you take, the sicker you tend to get and, the shorter your lifespan. The focus for the pharmaceutical industry is in masking a symptom, for as long as the unhealthy body hosts the disease, or death occurs. Therefore, maintaining and expanding disease is a pre-condition for the steady growth of the pharmaceutical synthetic drug industry; prevention from the natural wellness industry would bring about the demise of symptom masking synthetic drugs. There are more drugs in existence, yet in the population of people who only visit the sickness industry for drugs, there is more illness. We call Mother Nature’s natural substances a “Good Health Span, Action Plan”, and is a major part of our wellness and prevention industry, which provides prevention of illness and disease, choices to those who are not part of the pharmaceutical sickness industry. Drugs like Prozac were derived from synthetically copying tryptophan that is found in turkeys, which sooths and calms the mind. After the synthetic drugs were designed to mimic tryptophan, then Big Pharma’s big money, lobbied to ban natural tryptophan from the wellness industry’s natural available substances. The reason there is a war between the Wellness Industry, providing you choices and the Sickness Industry prescribing you drugs, is due to the sickness industry's desire to control all natural substances and to eliminate the natural Wellness Industry, from offering choices from their synthetic drugs. The Aging Younger Show where the alternatives matter. The Aging Younger Show where the alternatives matter. Shoshana Bennett, Ph.D. is the author of Postpartum Depression For Dummies and co-author of Beyond the Blues: Understanding and Treating Prenatal and Postpartum Depression. Her latest book Pregnant on Prozac is available at bookstores. She’s also created guided imagery audios that are specifically focused on helping moms take care of themselves. National TV shows including “20/20” and “The Doctors” feature Dr. Shoshana as the postpartum expert and news stations consult her. Several publications including the San Francisco Chronicle and the San Jose Mercury News have written articles on Dr. Shoshana’s work. She’s interviewed regularly on national radio and television and has been quoted in dozens of newspapers and magazines such as the Boston Globe, Glamour, Psychology Today, New York Post, Self, Cosmopolitan, USA Weekend and the Chicago Tribune. Dr. Shoshana is a pioneer in the field and considered the “go-to” expert for postpartum depression. She is a survivor of two life-threatening, undiagnosed postpartum depressions. She founded Postpartum Assistance for Mothers in 1987, and is a former president of Postpartum Support International. She has helped over 17,000 women worldwide through individual consultations, support groups and wellness seminars. As a noted guest lecturer and keynote speaker, she travels throughout the US and abroad, training medical and mental health professionals to assess and treat postpartum depression and related mood disorders. She earned three teaching credentials, two masters degrees, a Ph.D. and is licensed as a clinical psychologist. She is working to pass legislation that helps reduce the incidence and impact of postpartum mood disorders. The Aging Younger Show where the alternatives matter. Join David and Stephanie this coming Wednesday, March 4, 2009, as the reveal to you their 8 Steps to Aging Younger. They will answer the following questions: What can we do to improve our Immune System? What can we do to improve our lymphatic system? How can we improve our Cardio Vascular health? What is the best way to detoxify the body? How can we balance our endocrine system? What is the best water to drink, knowing that improving the hydration level is key to Aging Younger? What is your secret to improving the skin elasticity? Why we should reduc the intake of synthetic drugs? The Aging Younger Show where the alternatives matter. Mineral deficient people do not feel satisfied after eating a full meal. One of the most important concepts of nutrition is that, like cars, humans need proper fuel to operate efficiently. In the same way that a car needs gasoline, we need food to provide us with energy and essential nutrients to fuel all of our daily activities. When we are mineral deficient, our bodies do not work as efficiently as they should and we begin to not feel well and gain unhealthy weight. There are six classes of nutrients, including carbohydrates, protein, fat, vitamins, minerals, and water. Because proper nutrition is so important, we need to have at least a basic understanding of nutritional concepts in order to remain healthy and balanced. The Aging Younger Show where the alternatives matter. Shoshana Bennett, Ph.D. is the author of Postpartum Depression For Dummies and co-author of Beyond the Blues: Understanding and Treating Prenatal and Postpartum Depression. Her latest book Pregnant on Prozac is available at bookstores. She’s also created guided imagery audios that are specifically focused on helping moms take care of themselves. National TV shows including “20/20” and “The Doctors” feature Dr. Shoshana as the postpartum expert and news stations consult her. Several publications including the San Francisco Chronicle and the San Jose Mercury News have written articles on Dr. Shoshana’s work. She’s interviewed regularly on national radio and television and has been quoted in dozens of newspapers and magazines such as the Boston Globe, Glamour, Psychology Today, New York Post, Self, Cosmopolitan, USA Weekend and the Chicago Tribune. Dr. Shoshana is a pioneer in the field and considered the “go-to” expert for postpartum depression. She is a survivor of two life-threatening, undiagnosed postpartum depressions. She founded Postpartum Assistance for Mothers in 1987, and is a former president of Postpartum Support International. She has helped over 17,000 women worldwide through individual consultations, support groups and wellness seminars. As a noted guest lecturer and keynote speaker, she travels throughout the US and abroad, training medical and mental health professionals to assess and treat postpartum depression and related mood disorders. She earned three teaching credentials, two masters degrees, a Ph.D. and is licensed as a clinical psychologist. She is working to pass legislation that helps reduce the incidence and impact of postpartum mood disorders. The Aging Younger Show where the alternatives matter. The causation of obesity, diabetes, coronary heart disease, arthritis, neurological disease and illness, are from the poor choices we make in life. Poor choices create increased cravings for the consumption of more manmade toxic products, furthering the downward spiral toward poor health, illness and disease. Lack of education of complex carbs and simple cards are also feeding this downward spiral. Why do you think that even some people who work out and say they eat healthy, still can’t shed those excess pounds? 25 feet of intestine, over time, are lined with toxic deposits from our poor choices and from what we put into our body; causing poor absorption of nutrients. Listen to our Aging Younger Radio Program, and learn how to reverse this trend and extend your quality and quantity of life. The Aging Younger Show where the alternatives matter. Shoshana Bennett, Ph.D. is the author of Postpartum Depression For Dummies and co-author of Beyond the Blues: Understanding and Treating Prenatal and Postpartum Depression. Her latest book Pregnant on Prozac will be available in January of ’09. She’s also created guided imagery audios that are specifically focused on helping moms take care of themselves. National TV shows including “20/20” and “The Doctors” feature Dr. Shoshana as the postpartum expert and news stations consult her. Several publications including the San Francisco Chronicle and the San Jose Mercury News have written articles on Dr. Shoshana’s work. She’s interviewed regularly on national radio and television and has been quoted in dozens of newspapers and magazines such as the Boston Globe, Glamour, Psychology Today, New York Post, Self, Cosmopolitan, USA Weekend and the Chicago Tribune. Dr. Shoshana is a pioneer in the field and considered the “go-to” expert for postpartum depression. She is a survivor of two life-threatening, undiagnosed postpartum depressions. She founded Postpartum Assistance for Mothers in 1987, and is a former president of Postpartum Support International. She has helped over 17,000 women worldwide through individual consultations, support groups and wellness seminars. As a noted guest lecturer and keynote speaker, she travels throughout the US and abroad, training medical and mental health professionals to assess and treat postpartum depression and related mood disorders. She earned three teaching credentials, two masters degrees, a Ph.D. and is licensed as a clinical psychologist. She is working to pass legislation that helps reduce the incidence and impact of postpartum mood disorders. The Aging Younger Show where the alternatives matter. CAYENNE The most powerful herb in the world! "Cayenne has the ability to clear the blood of matter and gasses that cause digestive problems and to help people who suffer from colds, congestion and even cold hands or feet. It alleviates inflammation and can break up the deposits that contribute to the pain of arthritis. It clears sinus congestion, conjunctivitis, and spongy bleeding gums." Tune in to this week's show to learn more. Stephanie and David invite you to join their health blog by logging onto www.blogtalkradio.com/AgingYounger Joining our discussion is as simple as clicking on the Click to Talk Button on the blog talk radio website or calling in via Skype. All shows can be downloaded from the blog talk radio archives. The Aging Younger Show where the alternatives matter. Most pharmaceuticals on the market today will only treat the symptoms of diabetes. Therefore, to be effective, you must consider alternative methods that will stimulate your pancreas to do its job and reduce the insulin-resistance syndrome. How we help our clients to slowly reduce and eliminate their dependence on drugs to control their diabetes will be the subject matter for our Wednesday November 12, 2008 radio program. The Aging Younger Show where the alternatives matter. Brain health involves multiple tasks. Poor brain health parallels poor health for other parts of the body. Overweight not only feeds diabetes and heart disease it damages you brain as well. Lack of exercise kills brain cells and is a cause of being overweight. Loneliness and lack of social skills destroys brain cells and incites dementia and Alzheimer’s. What you eat not only affects your longevity, it determines how long your brain will function effectively. Tune in for the details. When the women's health initiative released their study in 2002, the Anti Aging Clinic began a passionate research study on this issue. What was this study? The study was on post menopausal women who were taking Prempro and Premarin, both products from Big Pharma giant Wyeth. Women on Prempro had more blood clots, heart attacks strokes and breast cancer than women taking a placebo. It was a total shock to the medical community and menopausal women were made to think that ALL hormones caused the same problems seen with the products mentioned. The next fact is going to shock you. The estrogen mixture is derived from the urine of a pregnant mare. The last time I checked, my anatomy is quite different than that of a horse. Big Pharma lobbied hard and fast, and the FDA gave a strong warning against all estrogens and progestin's, even though the WHI only used one product with pharmacologic properties and risks very different from Bioidentical Hormone Replacement therapy. Wyeth was trying to recupe their market share and profits which dropped by 2/3 within a few years of the study. They are striking back by trying to ban the compounding of bioidentical hormones and saying that they have the same risk profile as premarin and prempro. This is simply not true. What are bioidentical hormones? They are an exact copy of hormones produced by the human body. BHRT dates back to 1975. Our research at the AAC has led us to the leaders in this industry. We began to study with Dr. Bob Fishman in 2005. One of the areas of Dr. Fishman's research led him to discover that women never stop cycling. It makes no difference if they had their ovaries removed or a complete hysterectomy, women cycle from the day they begin menstruating until they die. One of the more telling pieces of evidence of this can be seen from the results of a 30 day 11 panel saliva test. 11 samples are collected over the course of a month. Women, who are still menstruating, will begin their test on the morning of the first day of the period and will continue to collect on specific days as per our instruction sheet. The samples are kept frozen and sent to our lab when all 11 are collected. When a woman is premenopausal or postmenopausal, the first sample is collected the very next morning after the consultation. Dr. Fishman's research has been enhanced by his finding from the past 15 years with thousands of women's case studies that helped him recognize that conventional testing was not good enough. At first, he tested the hormone panel with blood tests and he found that that when he followed the findings of a single blood test, most women did not respond well to the BHRT. He would then take another blood sample during the same month and he noticed that the results were always different. He then decided to take samples throughout the month. In all of these cases he was unable to balance hormones to the point where symptoms would reduce substantially. During his research he discovered that the samples that were sent to the lab were centrifuged before testing. The process of centrifuge separates the plasma from the red blood cells. The hormone panel is derived from testing the plasma or serum and not the red blood cells. It then dawned on him that it is the red blood cells that bind the free hormones. Instead of analyzing the bioavailable hormones, blood testing analyzes the hormones attached to proteins from the liver and is not bioavailable. Dr. Fishman now knew that his testing method had to change. Saliva became his next choice of testing and he began the same slow process to determine the amount of testing that would be required to obtain accuracy. Our salivary glands produce about 2 pints of saliva a day. Saliva glands have an extremely high blood flow. Researchers have found that the free hormones from the red blood cells and plasma filter through the saliva gland into the saliva where they can be measured accurately. So the conclusion is that saliva reflects bioavailable level of hormones present in the bloodstream, therefore saliva testing is far more accurate and relevant test than blood when measuring bioavailable steroid hormones. Just as important as the saliva test is a lengthy questionnaire that needs to be answered in order to determine the extent of the symptoms that our client is experiencing. Based on the test results and the answers to the questionnaire, a tailored BHRT program will be recommended by our compounding pharmacist. In order to titrate the dosage, every month for 6 months our clients will call in and answer the questions. The micronized mini lozenges dosage will then be adjusted based on the degree of the symptom. Many medical doctors question the effectiveness of the sublingual steroid hormones.  They believe that they are not absorbed into the bloodstream and therefore do not have a physiological effect. This argument is based on the traditional medical training that sublingual therapy will not raise the blood levels of the hormones. This is easily disputed with our know accuracy of the saliva tests. Not only have doctors been taught this but it is re-enforced by Big Pharma, who we now know has only their best interest in mind and that is to sell their synthetic hormones. Pleases do not forget pregnant mares urine. From most of the medical community's perspective, the response from the pharmaceutical industry was the end of the argument. This is an understandable way to deal with the fact that neither doctors nor anyone else can keep up with the speed of biochemical and medical discoveries, much less breakthroughs in the wellness industry. It is really up to the doctors who are willing to expand their knowledge in this area. In most cases it is the patient who becomes knowledgeable about his or her problem and will attempt to educate themselves and then educate their doctor. In contrast to conventional medicine, a small group in the wellness industry of researchers, scientists and Nature-O-Paths, and a some MD's have been successfully improving the health of women and men by balancing their hormones with BHRT. Yes, men can have hormone imbalances as well. Men do not cycle and can be tested with 4 saliva samples taken over the course of one day. The Aging Younger Show where the alternatives matter. What you eat determines Health or Disease in your future. Our alternative approach, in contrast to modern medicine, is a way of looking at things differently, developing ways to incorporate nature and what's natural to the body for a new healing paradigm. In all of our lives, food has taken on emotional and social implications far beyond adequate nourishment. Food is often what binds families and relationships together. The traditional weight loss strategy implies a temporary restriction of food intake, not a workable permanent lifestyle change, thus diets are doomed to fail from the beginning. Our strategy about health, weight and beauty, is science fact, not science fiction, Listen to our program and determine for yourself. The Aging Younger Show where the alternatives matter. The Great Depression was a worldwide economic downturn and it was a unique moment in American political history. Small business pulled us out of that depression and we will have to do it this time as well. The time is now for small business and for Equity investors. The stock market is not where you want your money. With the Dow Jones Industrial Average (down 36% YTD) and the S&P 500 (down 33% YTD); it is suggesting that when times are tough, small business can outperform the larger companies. The wellness industry performs well in all economies. This weeks show will offer you the chance of a lifetime. The Aging Younger Show where the alternatives matter. We are challenging conventional western medical pharmacology; by offering a groundbreaking perspective that is long overdue. The pharmaceutical industry’s focus on the human body is the symptoms of disease – but only for as long as the body hosts disease. Therefore, maintaining and expanding disease, is a pre-condition for the steady growth of the pharmaceutical industry. Prevention would bring about its demise, but you must decide; YOUR FUTURE HEALTH DEPENDS ON WHAT YOU DECIDE. The Aging Younger Show where the alternatives matter. A simple realization that involves action, will dramatically transform your life for the better. Would you want to be at your ideal weight? Truly look and feel younger and avoid premature aging? Eliminate or vastly reduce some disease or illness? Increase your daily energy and not feel down or tired all the time? Something else, or--- all of the above? Listen to our program this coming Wednesday, October 1, 2008 to learn how. The Aging Younger Show where the alternatives matter. Intelligence, pleasure and fear; all catchy words in today’s society but at one time, were part of our culture. What has happened to intelligence, why do we only operate from pleasure or fear? Discovering this will be quite thought provoking and may create fear from learning of its whereabouts, since pleasure was an ideal cover-up. Health, good or bad, is about choices and requires certain intelligence. Listen to David and Stephanie Tippie as they uncover the intelligent choices to good health. The Aging Younger Show where the alternatives matter. The Three Steps to Aging Younger is to replace the hormones that decline with age, actively fight inflammation, and improve your skin's tone and texture. Increasing longevity and beauty is a must hear program. The Aging Younger Show where the alternatives matter. Cancer is normal for those who follow an “abnormal” health style. So, be normal! Be natural! Become free from synthetic pharmaceutical drugs and become cancer free. There are reasons behind the pharmaceutical company's strenuous efforts to make vitamins available through prescriptions only, and it is directly linked to the fact that they have not been able to eliminate them altogether, although they have surely tried. If big pharma is successful in their quest to have vitamins available only with a physician prescription, then healing oneself from alternative therapies will become difficult. Tune in for more. The Aging Younger Show where the alternatives matter. Stress is caused by many things. Not the least of which is our social environment. Besides our social environment, entrepreneurs face similar challenges as those who serve in the military. Our guest today is a Clinical Social Worker who began his practice in the military. He has found it easy to adapt to those of us in business today and the stress we are burdened with. Etienne Gibbs has proven that he is capable of assisting our military personnel who have been afflicted with Post Traumatic Stress Syndrome. He has transposed his expertise into the everyday problems of business people which has proven to be a valuable asset. Please join us to learn how Etienne has helped our military personnel and how he assists the entrepreneur in winning the war against stress. The Aging Younger Show where the alternatives matter. Join us today to here from Qigong Master and lineage holder of Zhou family Qigong, Jeff Smoley. Jeff will explain the Aging Younger benefits of Qigong. Qigong is a seven thousand year old Chinese health improvement system. Qigong is the coordinated use of breathing methods, breath control, stances, movements, acupressure, self massage, visualizations and guided meditations to increase the quantity and quality of Qi in one's body and facilitating the easy flow of Qi for the purpose of increasing health, strength, longevity, boosting the immune system and making oneself a better person. The Aging Younger Show where the alternatives matter. We're undergoing a paradigm shift in America. Current medical thinking is based on treating disease, not promoting health. But chronic disease doesn’t just appear out of nowhere; disease can actually begin in youth and progress in an underlying state, until it reaches a threshold. When the symptoms appear from a disease, it is often times long after the disease has progressed. It makes good sense that if a chronic diseases doesn’t just appear out of nowhere and it actually begins in our youth and progresses at a sub-clinical level until it reaches a threshold such as symptom or even death; then properly nourishing our body, balancing hormones, adding the correct ionized water, taking verifiable supplements and exercising is logically the best answer. Since obesity leads to the number one killer in America today, Coronary Heart Disease, we will begin our show discussing the hormone leptin. Did you know that the average person has 60,000 thoughts a day and nearly 80% of them are negative? Imagine what this is doing to your body. Listen to David and Stephanie discuss the four simple steps in managing stress. The Aging Younger Show where the alternatives matter. Did you know that high blood pressure is a plumbing problem? Tune in and find out how our arteries can be unclogged naturally. The Aging Younger Show where the alternatives matter. Without prevention we are destined to age earlier, we do not have to sit idly by and let it steal our youth. We educate our listeners and empower them to prevent illness and disease and how to Age Younger.